at Skylark, we take it very seriously, from long before the puppies are born. matched to new families, and terribly missed when they go! while he or she is here with us. Everything we do, from the early handling and BioSensor "Super Puppy"
dog. 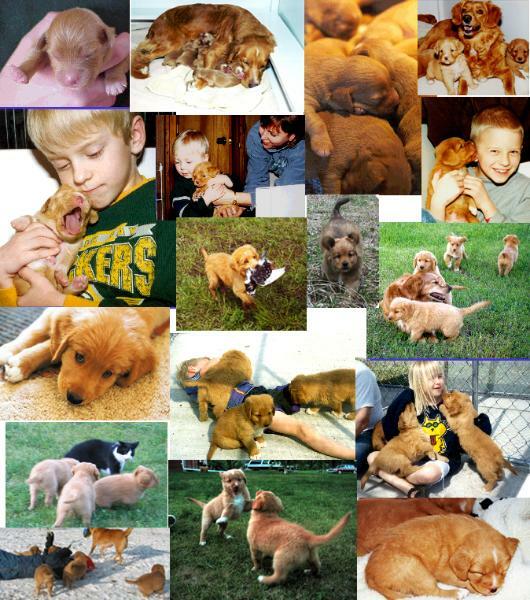 Feel free to contact us if you have any questions about our puppies or the way we raise them. 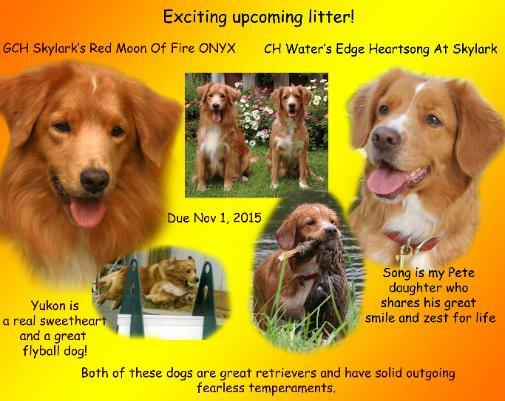 time to talk if you are interested in learning more about this pup or Tollers in general.